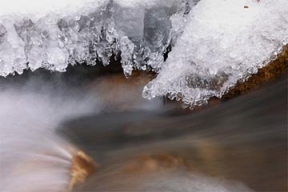 Ice creates picturesque winter scenery. But when ice coats roads, sidewalks and power lines, it turns from beautiful to dangerous. “Of the more than 1M injuries in the U.S. caused by falls, the most common type of fall is the slip and fall caused by ice,” said Martin B. Tirado, CAE, CEO of the Snow & Ice Management Association. “Ice can be more dangerous than snow because it’s harder to see and definitely more challenging to walk or drive on.” In addition to causing injuries, ice has residual effects such as loss of power, road closures, car accidents, fallen trees and impassible sidewalks. Melting and freezing conditions also can create (and recreate) icy conditions days after the initial storm ends. SIMA, the North American nonprofit organization representing snow and ice removal professionals, has these tips on surviving an ice storm. TIP #1: Wear winter shoes. While fashion is great, in ice be careful about high heels or slick soled loafers. The right shoes to navigate ice place the entire foot on the ground, have heavy treads, and a flat bottom. TIP #2: Anticipate the ice. Watch out for black ice–thin sheets of ice that may appear as wet pavement. Black ice is often the result of ice melting and refreezing in thin layers that are tough to see. And the melting and freezing pattern may repeat day after day–ice appears in the morning as you leave for school or work, melts during the day, and it refreeze as the sun sets. 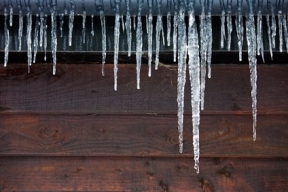 Be particularly careful in shady spots where sunlight may not melt the ice at all. TIP #3: Plan ahead. While walking on icy sidewalks or parking lots, walk mindfully. Anticipate where your next step will be. Pay attention when stepping off a curb, using steps, or getting into a car because shifting your weight may make it easier for you to lose your balance resulting in a fall.